With more than 25 years of experience in the French Polynesia tourism market, Pacific Beachcomber is French Polynesia’s largest luxury hotel and cruise operator. 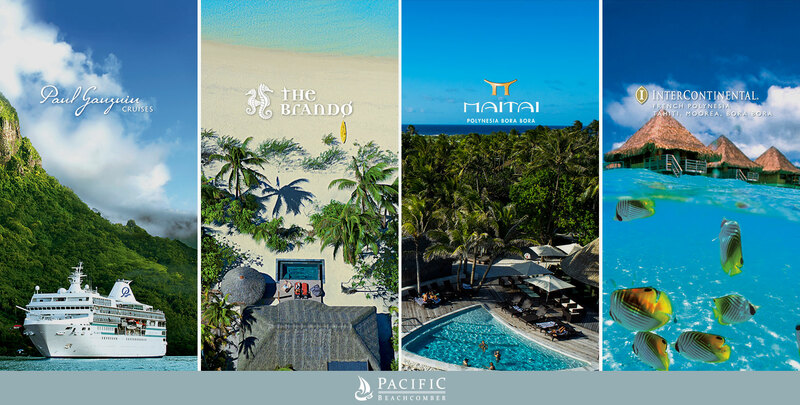 In addition to The Brando, Pacific Beachcomber operates seven award-winning hotels with over 640 hotel rooms, including the InterContinental Tahiti Resort, InterContinental Bora Bora Le Moana Resort, InterContinental Bora Bora Resort & Thalasso Spa, InterContinental Moorea Resort & Spa, the Maitai Bora Bora, the Maitai Rangiroa, and the Maitai Lapita Village Huahine. Pacific Beachcomber also operates the 332-guest m/s Paul Gauguin luxury cruise vessel with voyages in Tahiti, French Polynesia and South Pacific.